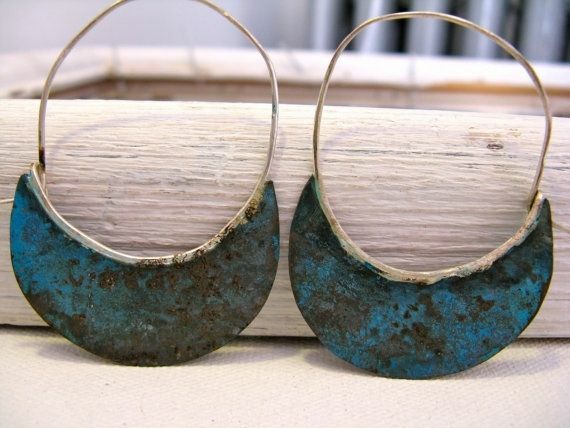 A subtle and earthy look, these awesome hoops can be worn with almost anything! 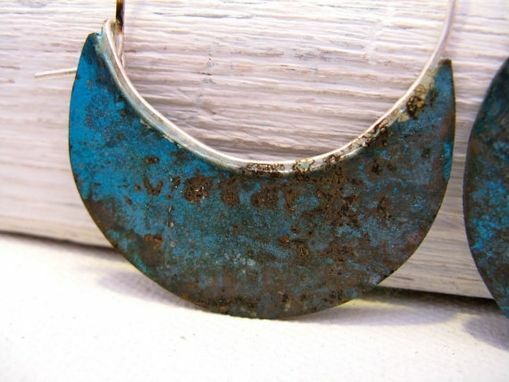 The copper disk has been given a natural patina to reveal patches of blue. The silver ear wire really pops. 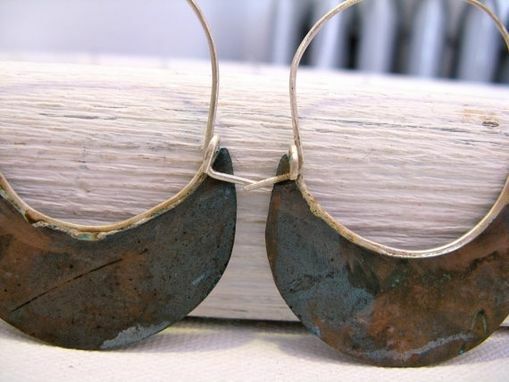 A perfect, lightweight earring!